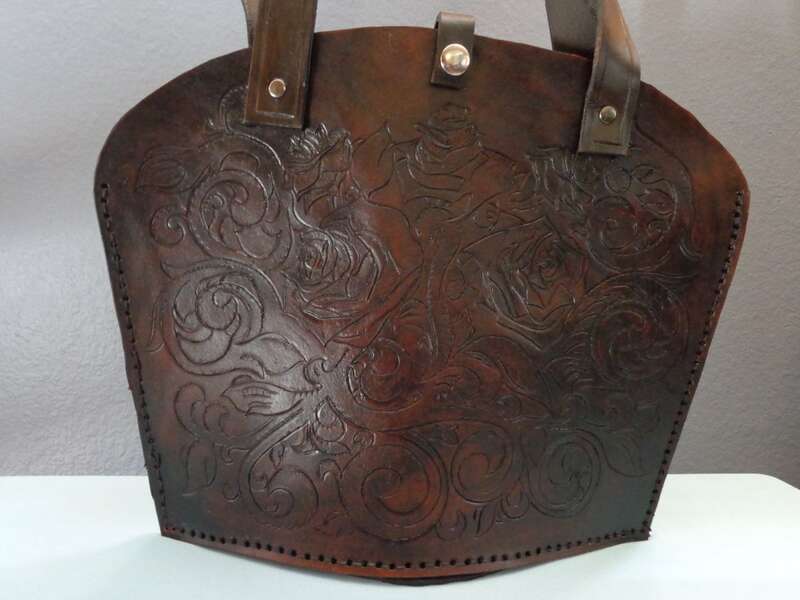 Hand carved classic Victorian flourishes and Roses adorn this rich, dark brown, tote style purse. Snap closure. Double leather Straps.